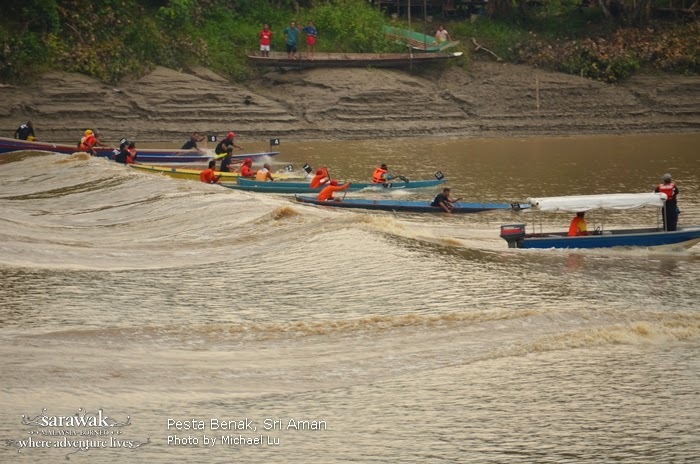 Pesta Benak, or the Tidal Bore Festival, will take place on November 3 to 5 in Bandar Sri Aman about 200km from Kuching City. A tidal bore is the unique natural phenomenon where incoming tides form waves that travel up a river, in this case the Batang Lupar River in the town. Thanks to these waves, Pesta Benak is celebrated with tidal bore surfing, water sports like boat races and kayaking as well as food and trade fairs, both day and night, for visitors who are in town for the viewing of the waves. Pesta Benak happens every year in early November, subject to the tide level.